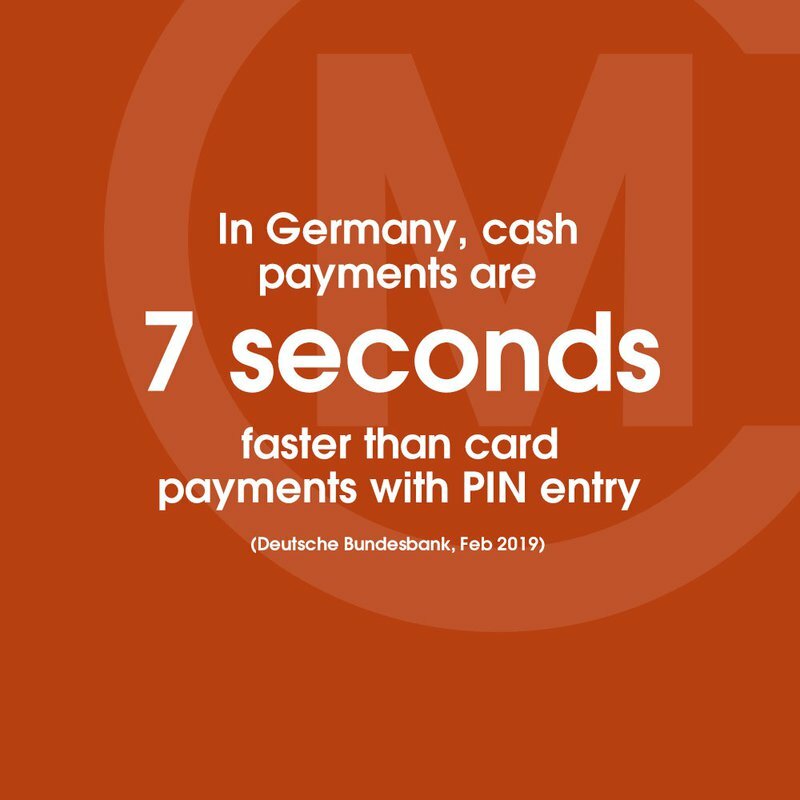 In Germany, cash payments are 7 seconds faster than card payments with PIN, finds Deutsche Bundesbank. The study, "Costs of Cash Payment in the Retail Trade", was carried out in cooperation with the EHI Retail Institute and looks at consumer's cash use in retail settings, comparing it with girocard, credit card and SEPA direct debit. Cash payments are about 7 seconds faster than card payments with PIN entry. Cash payments are about 16 seconds faster than card payments with with signature. Cash payments up to €50 are cheaper, since the fixed costs for cash payments are on average lower.